We accept same-day emergency appointments. Call us today at (410) 970-0292. If you’ve ever had a sudden, severe toothache, you’ve probably found yourself asking, “Where can I get good emergency dental care near me?” Any dental emergency can cause a sense of panic and ruin your plans for the day. Getting the care that you need is essential for relieving your pain and protecting your overall dental health. Where Do You Find an Emergency Dentist? When the unexpected happens, you can rely on our emergency dentists in Westminster. Our emergency dental office provides comprehensive emergency dental care during regular office hours. When your tooth breaks at work and you have plans for the evening, simply call us to schedule treatment. In many cases, one of our emergency dentists can see you in the same day. It’s our goal to diagnose your dental condition, relieve your pain, and find out what other measures are needed to ensure that the problem doesn’t come back. We treat patients with dental emergencies within 24 hours and accommodate non-patients as quickly as possible. 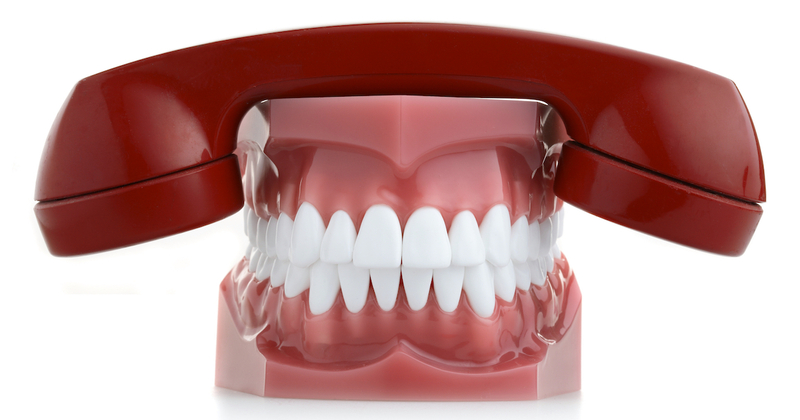 How Do Emergency Dental Services Help? How Do I Know if I Need Emergency Dental Treatment? I’m not sure if my problem is a true emergency. Should I try to obtain emergency dental care near me? Any condition that is causing acute pain or interfering with your normal activities is serious enough for you to seek emergency dental care. Our dentists treat the following conditions and symptoms on a regular basis. A broken or fractured tooth can easily become infected or sustain more damage. If you fracture or break your tooth, call us to schedule care as soon as you can. Having your tooth knocked out is terrifying, but our emergency dentists may be able to reimplant it if you act quickly. Rinse your tooth with warm water, holding it only by its crown. Place it back into its socket or inside your cheek to keep it moist, and call us immediately. A severe toothache is one of the most common dental emergencies. In addition to tooth pain, you may also experience fever, swelling, pressure, or ear pain. Never ignore a bad toothache. Call us so that we can determine the underlying cause and end your pain. While sensitivity to cold and hot foods or beverages is common and doesn’t usually require urgent dental care, a sudden onset or unusual increase in symptoms could be due to a more serious underlying cause like a tooth fracture or an infection. In this case, immediate attention is needed. Tooth decay leads to sizable cavities that can eventually expose the tooth root or pulp, which causes pain. Our emergency dentists can determine the depth of your cavity and the best way to restore your tooth and relieve pain. An abscessed tooth causes severe tooth pain, facial swelling, fever, bad breath, swollen glands, and open, draining sores on or near your gums. If left untreated, this serious dental infection can lead to significant medical complications. Call our emergency dental office immediately if you think that you may be suffering from a dental abscess. When you lose a filling, you may experience sensitivity or even pain. Loose fillings don’t do their job correctly. In both situations, your teeth are vulnerable to more serious problems, so call us to schedule treatment as soon as possible. If you lose or break a crown or restoration, you won’t just end up with a gap in your smile; your teeth could suffer unnecessary damage from the lack of protection. See our emergency dentists to obtain a temporary or long-term replacement for your lost restorations. Unfortunately, it’s not unusual for the metal components of braces to break or cause injury. When they do, we can stabilize your orthodontic devices and provide pain relief. Grinding your teeth is often an unconscious habit that eventually wears down the protective enamel covering your tooth. When it becomes a serious problem, we can help strengthen your enamel and provide the tools that you need to minimize nighttime teeth grinding. When uncomfortable sinus pressure isn’t caused directly by the sinuses, it could be related to a dental problem such as an infection or an impacted tooth. Our emergency dentists in Westminster can help uncover or rule out dental origins of sinus symptoms. My symptoms may be dangerous or life-threatening. Should I contact an emergency dental office near me or seek medical assistance? How Much Are Dental Emergency Fees? Because each emergency dental care patient requires different treatments and tests, it’s impossible to make a general estimate. However, emergency dentists can provide more details about cost after an initial examination. Our dentists accept most major dental plans and credit cards, and we also offer convenient financing options for those who can’t pay all at once. If you don’t have dental insurance, you can take advantage of our DentRite® discount plan, which helps you save from 20 to 70 percent on many types of dental services including emergency treatment and preventative care. Everyone is approved, and your family can receive benefits through your membership. I just developed severe tooth pain and a fever, but it’s Saturday night. Should I wait until Monday to visit the emergency dental office near me? Some emergencies can wait, but never delay treatment that could save your tooth or reduce the risk of permanent harm to your dental or general health. If you develop severe symptoms when our emergency dentists are not available, go to the nearest urgent care center or emergency room. When your symptoms start during our regular office hours, please call us. Our emergency dentists in Westminster will be ready to provide the comprehensive, compassionate care that you need.